Would you like to see how you can perform gene expression analysis for any organism, even without a reference genome? Join us for a webinar next week, where we will demonstrate our new workflow for RNA-Seq in non-model organisms. 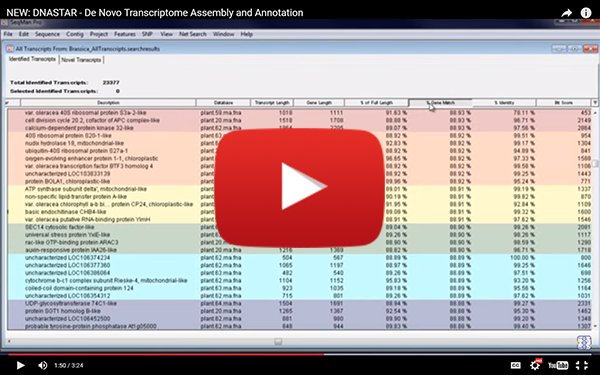 Check out the video below, which shows how to assemble a plant transcriptome using our new de novo assembly and annotation workflow, then tune in to next week’s webinar to see how to use annotated transcripts for downstream gene expression analysis.